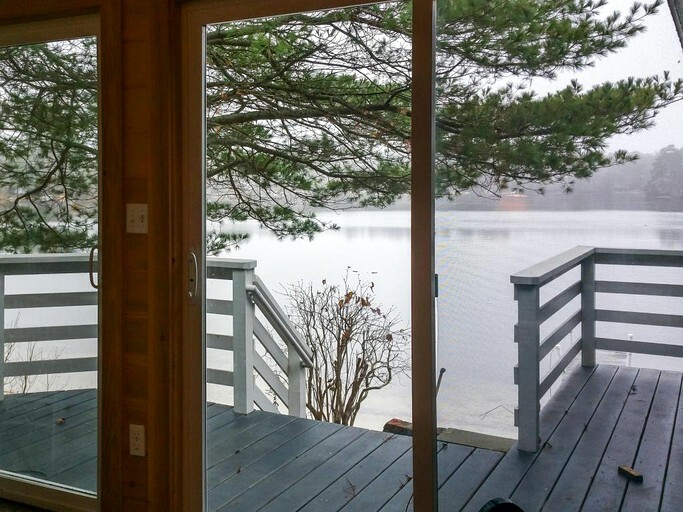 Great view on lake. 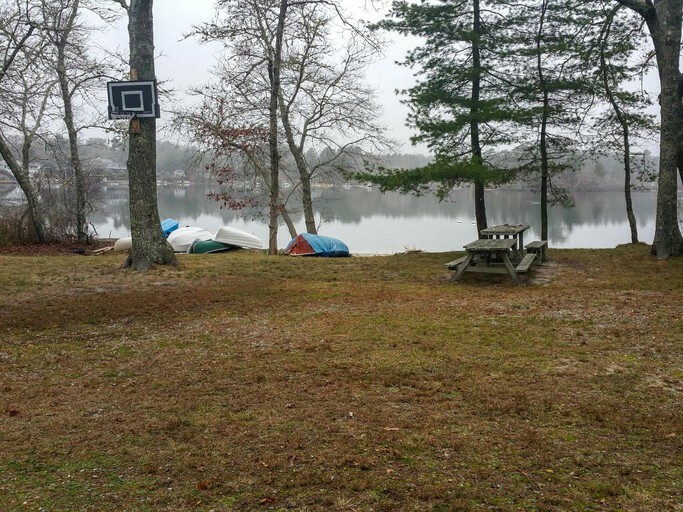 Very relaxing setting and plenty of fun things for the kids to do. 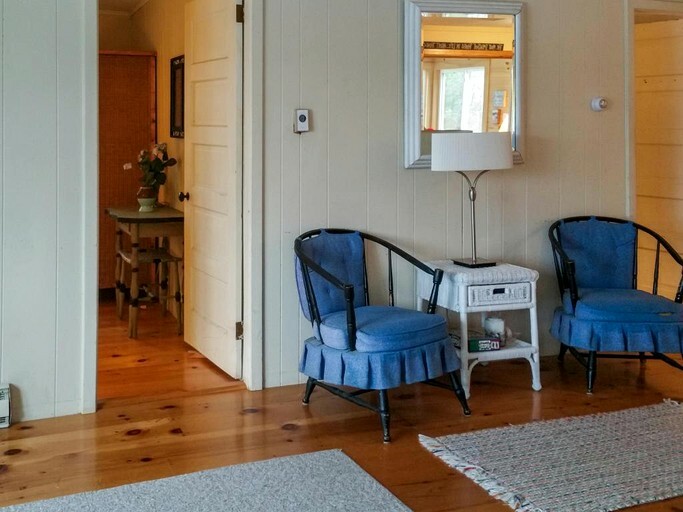 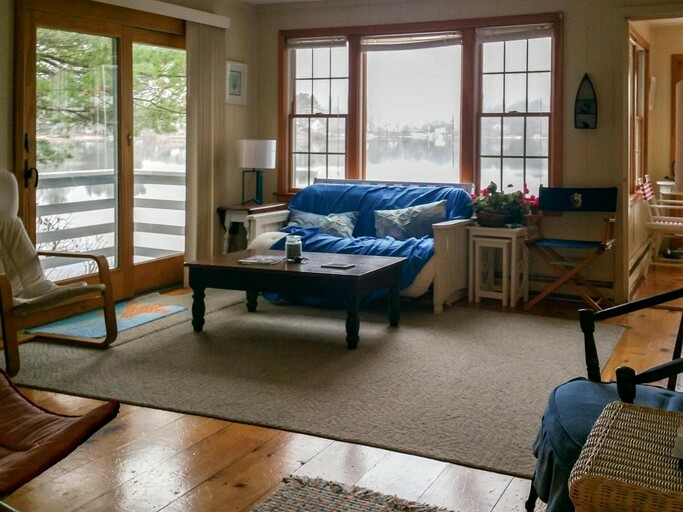 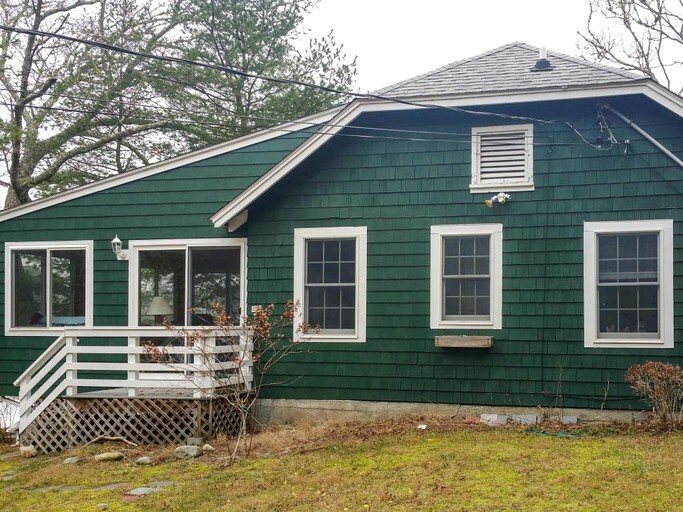 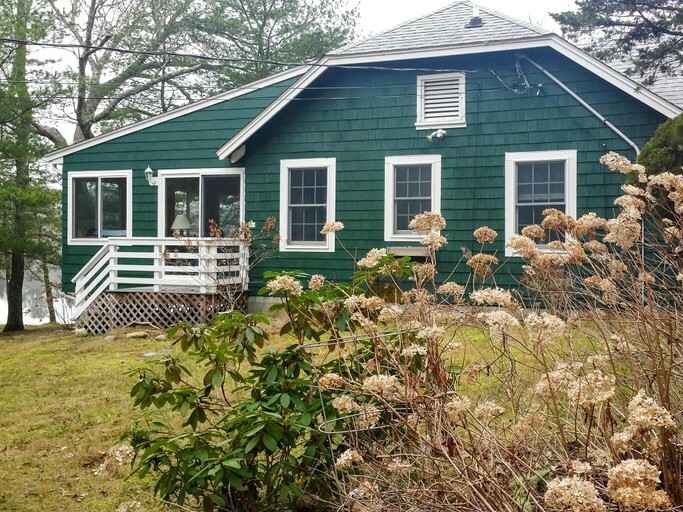 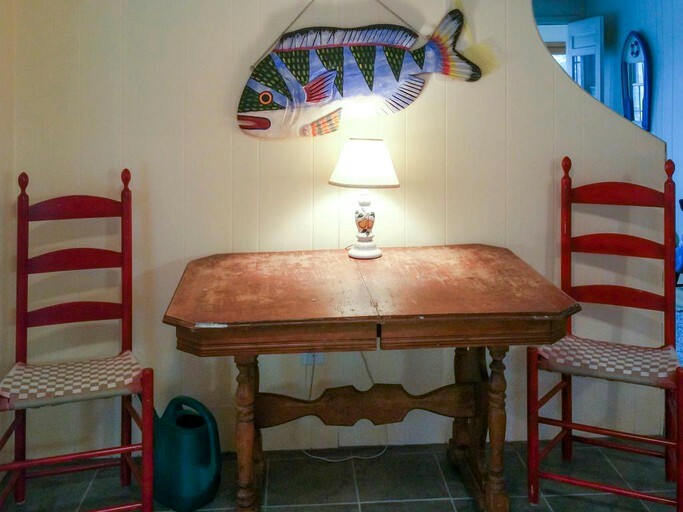 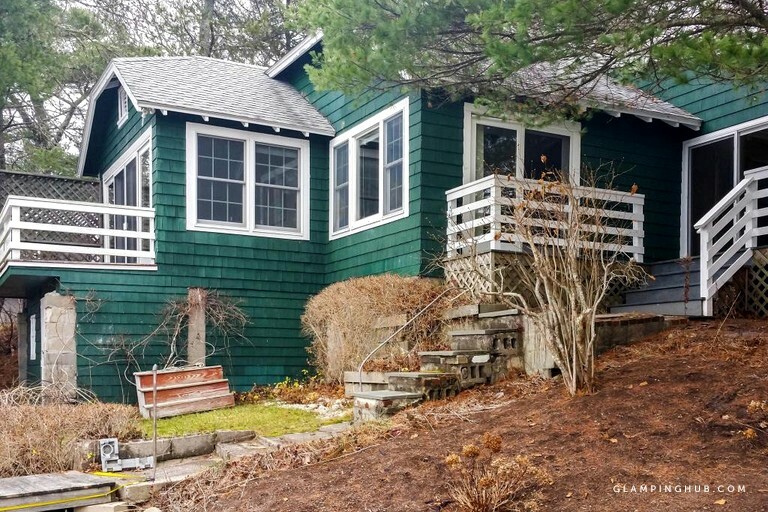 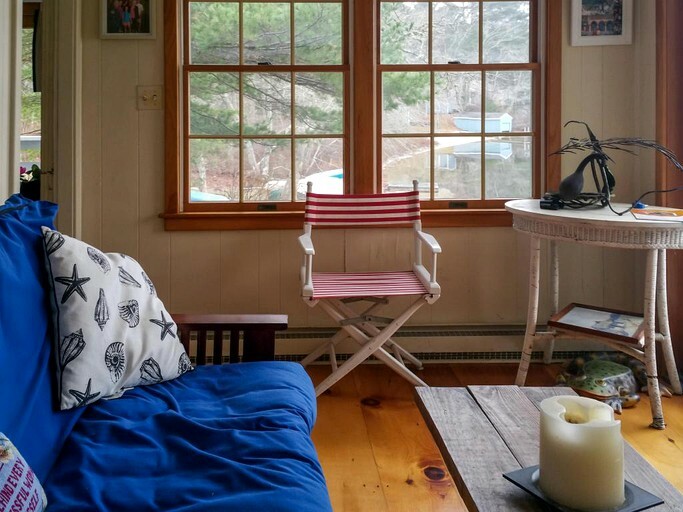 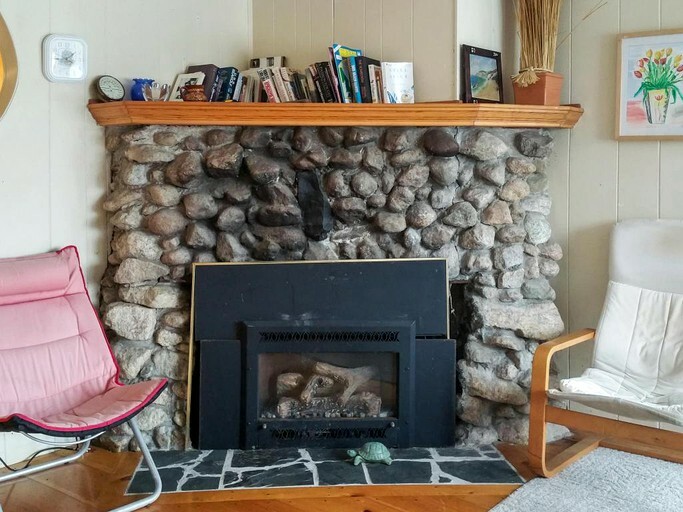 This charming waterfront cottage near Wareham, Massachusetts, sleeps eight guests with three bedrooms and one bathroom. 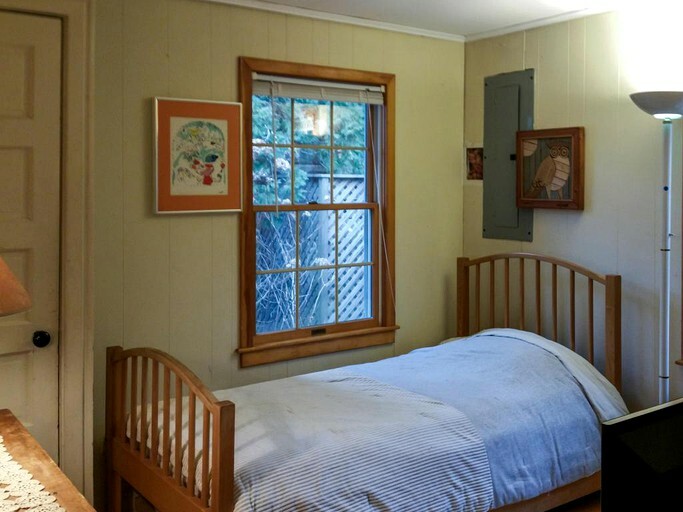 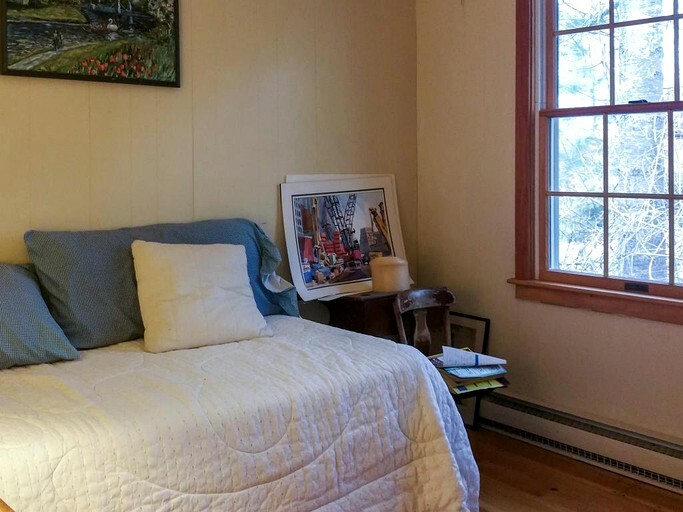 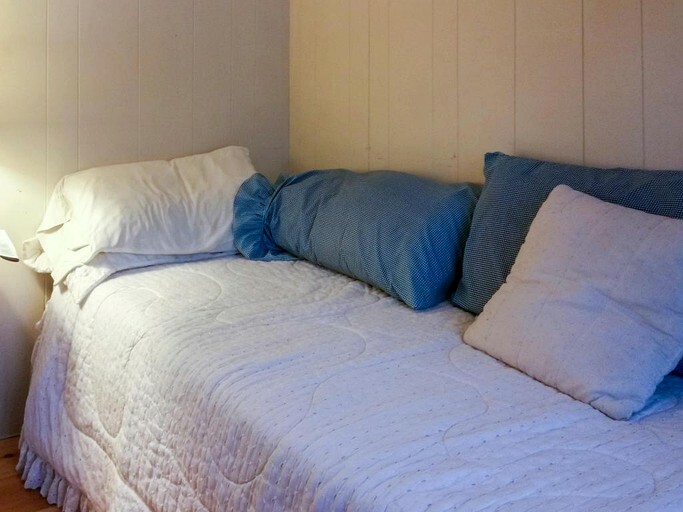 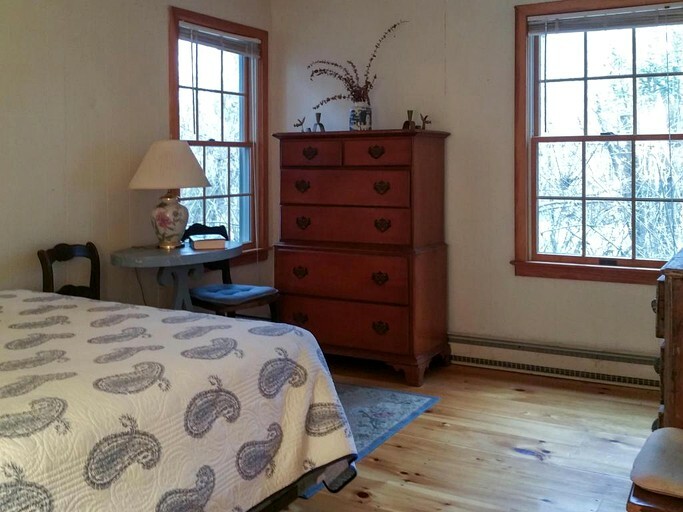 One bedroom has a queen-size bed, while the other two have trundle-style twin beds. 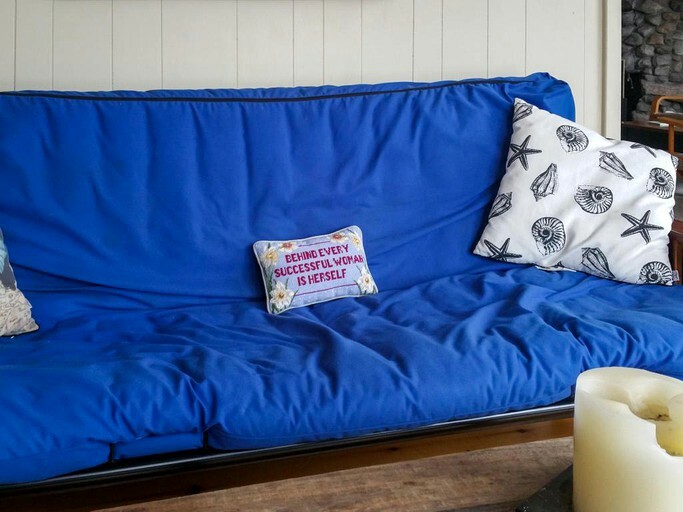 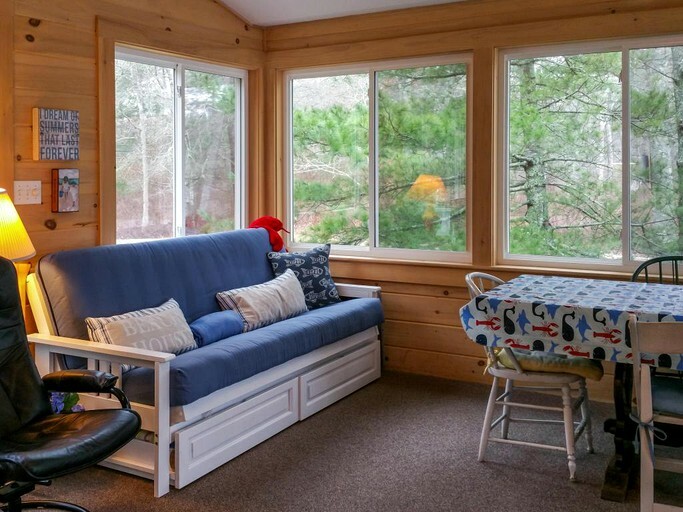 Guests can also use the futons in the living room and the sunroom. 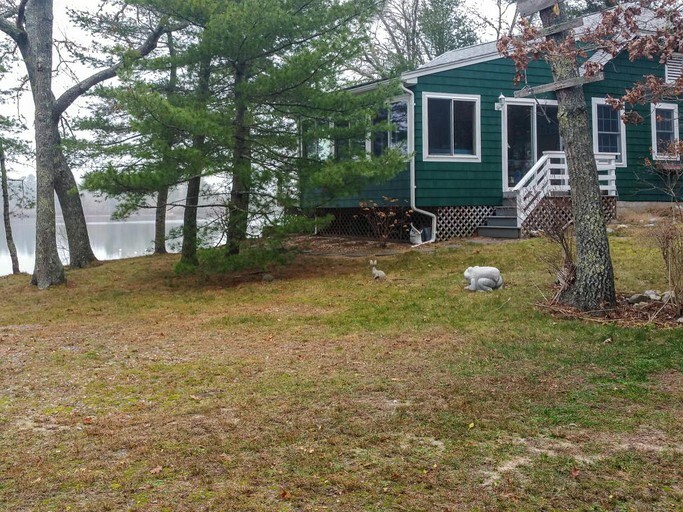 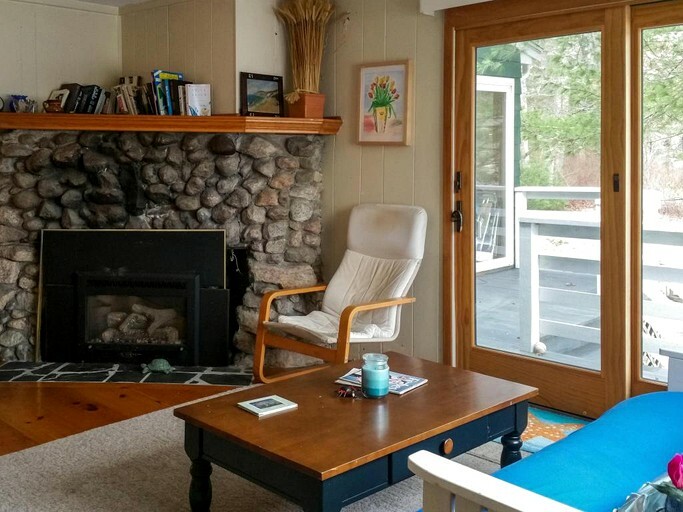 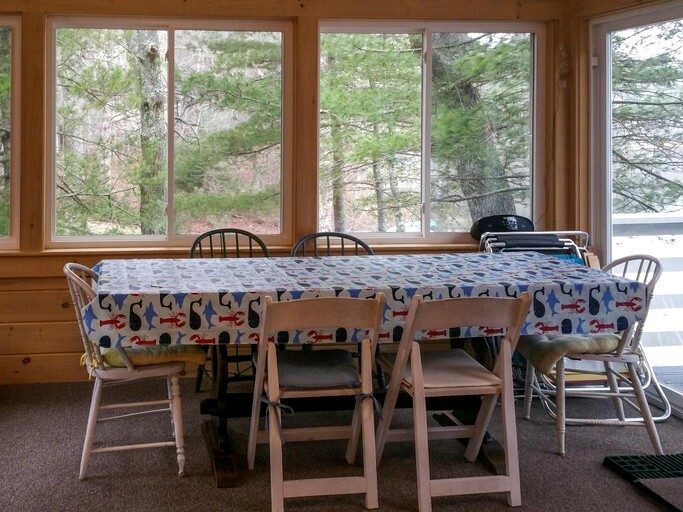 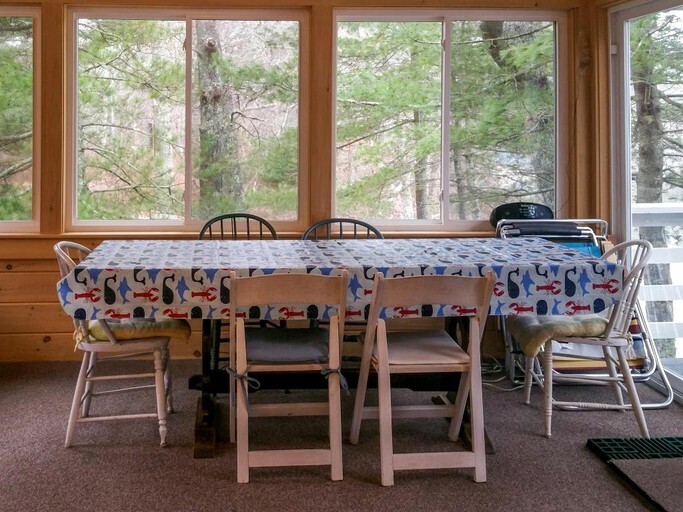 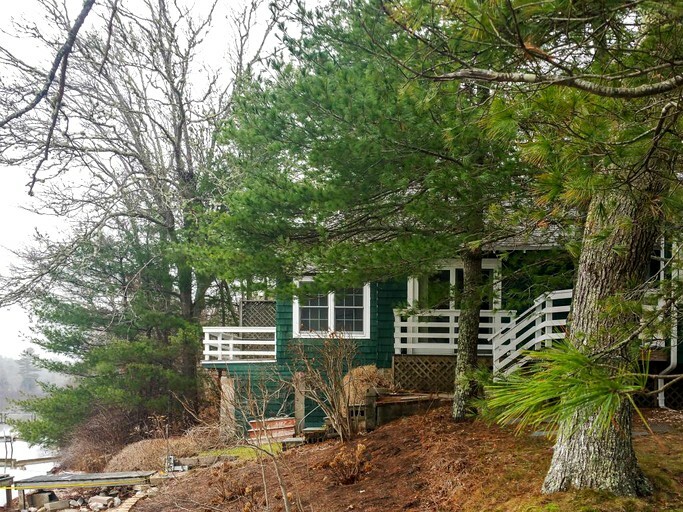 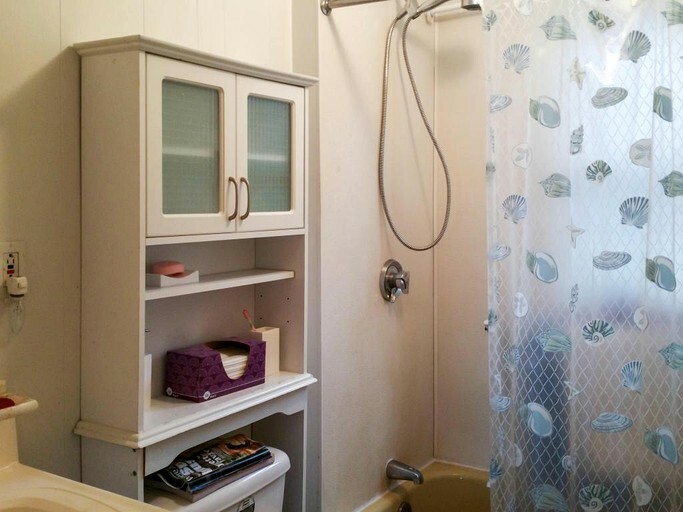 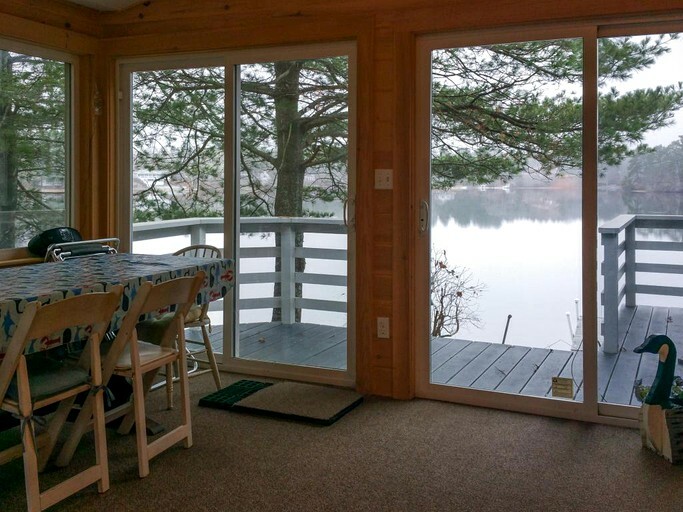 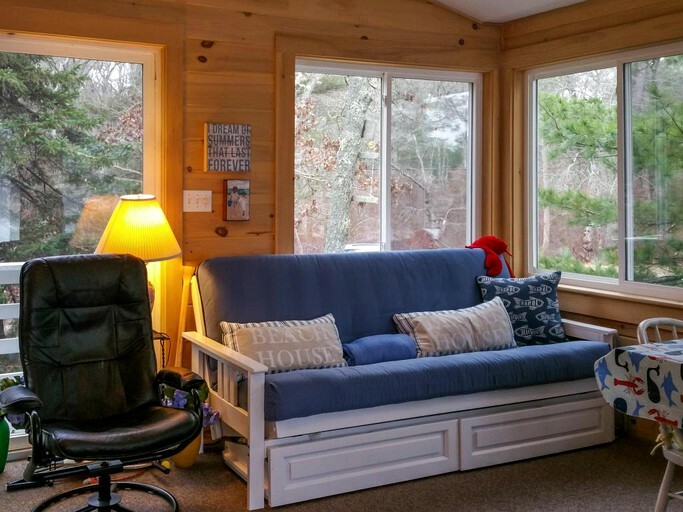 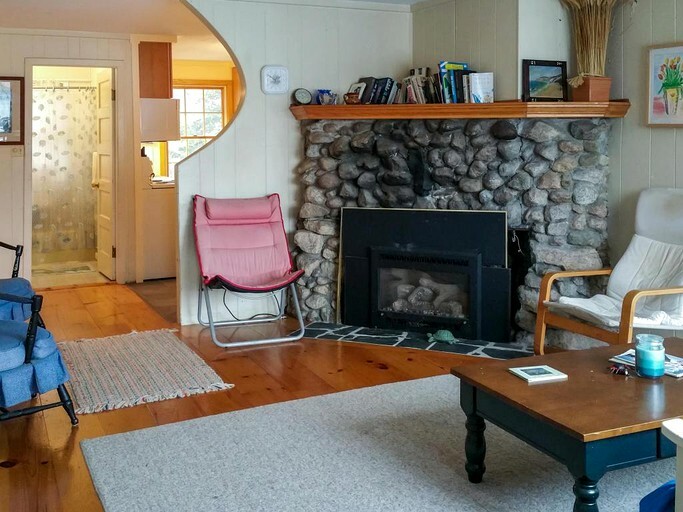 This lovely cabin comes with a private dock and beach. 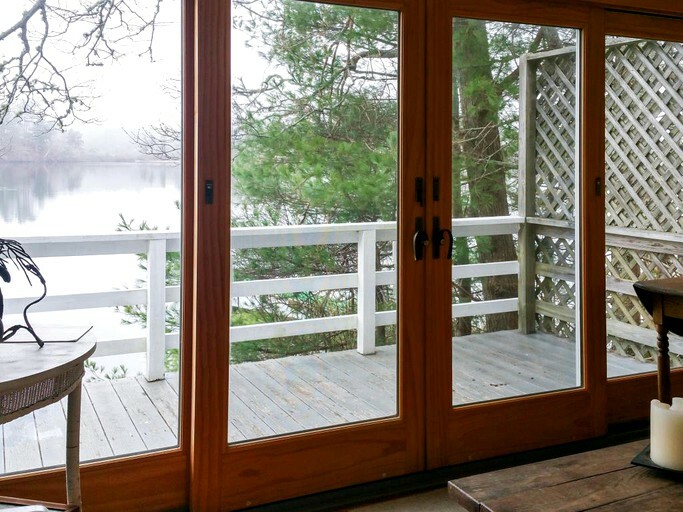 Outside, guests can admire the waterfront cabin while cooking up a storm on the barbecue. 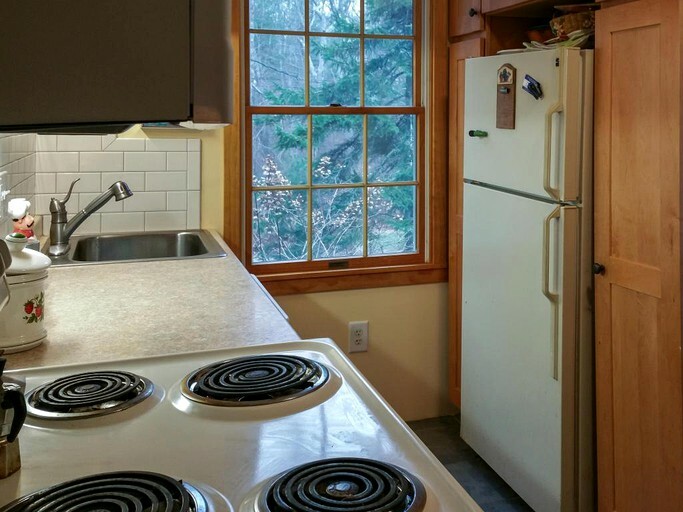 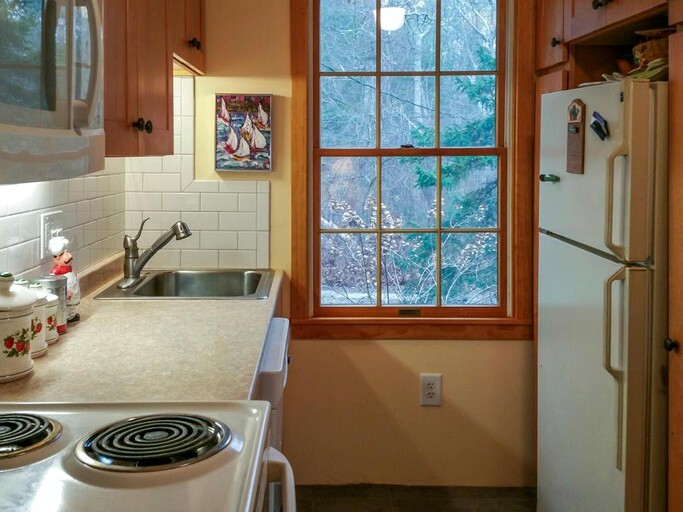 Inside, the kitchen is fully-equipped, providing all the appliances needed for some lovely home-cooked dinners. 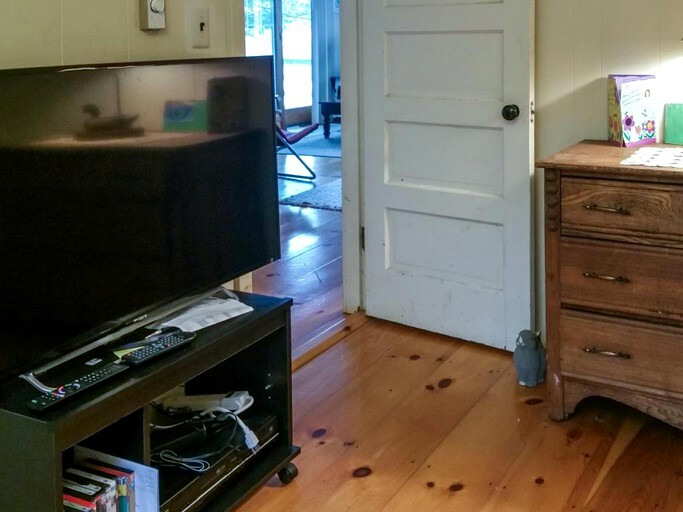 In the cooler evenings, guests can snuggle up by the fireplace with some games or browse the channels for their favorite TV show. 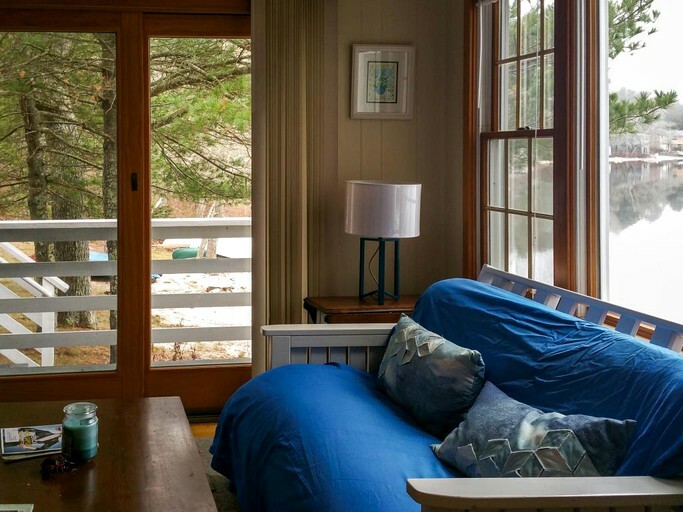 After a day exploring, guests can hit the hay in one of the snug beds sleeping up to eight. 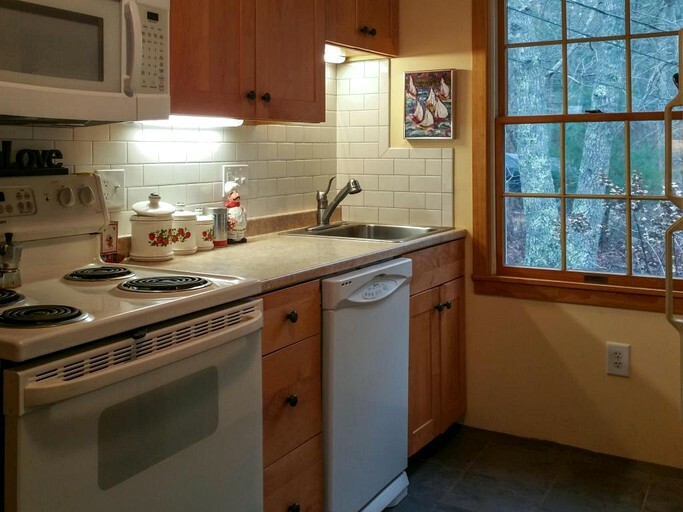 Wi-Fi is available, and a dishwasher is provided. 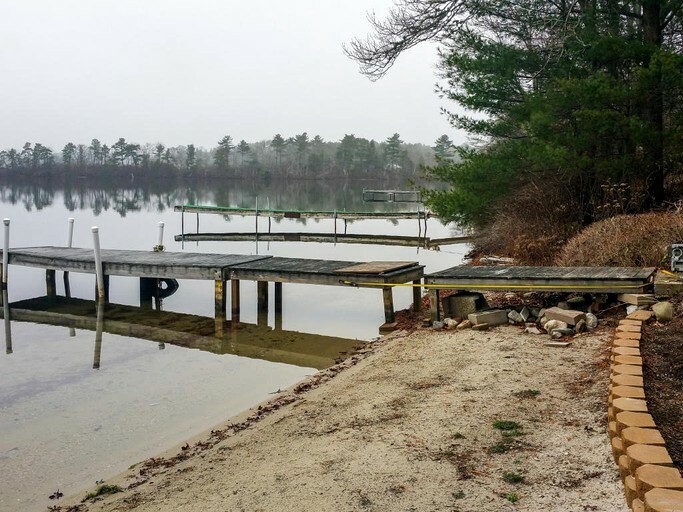 Right from the backyard, guests can relax on the private beach onto White Island Pond or jump off the dock for a refreshing wake up in the mornings. 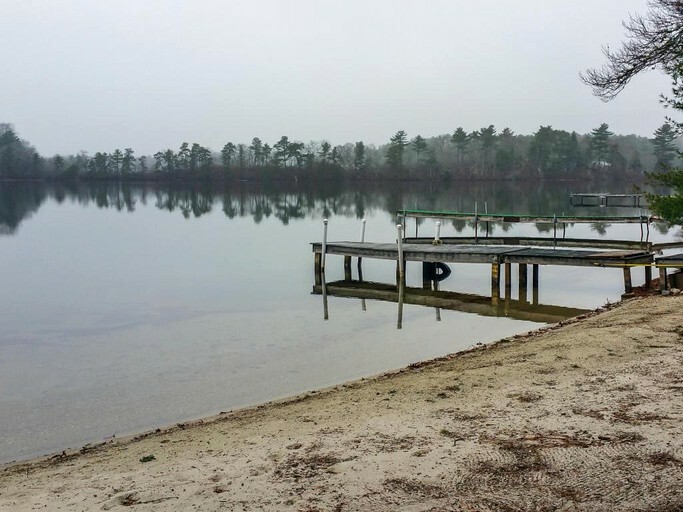 Guests can explore the Atlantic Ocean and try their hand at some water sports as they head to Cape Cod where they can get ferries to the surrounding Islands. 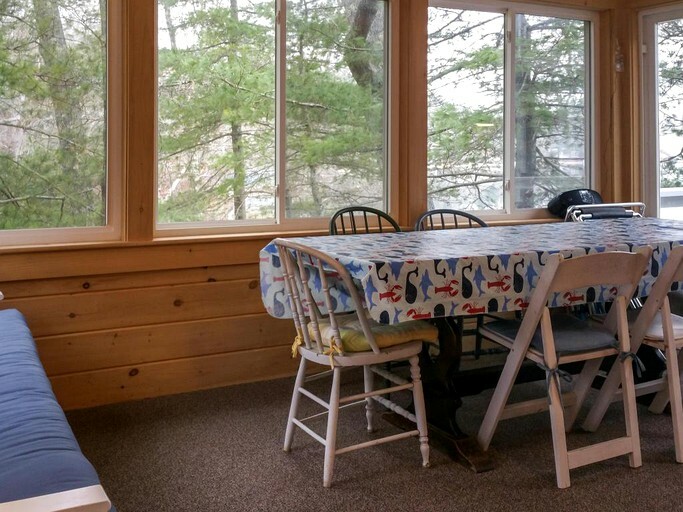 There are also plenty of biking and hiking trails within 15 miles of the cozy cabin. 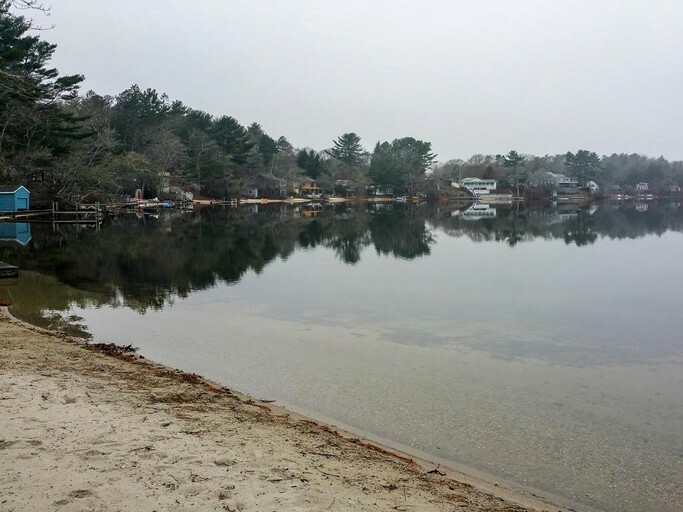 For those looking to discover some history, Plymouth provides guests with plenty of sights including Plymouth Rock, where it is believed the Pilgrims first landed.